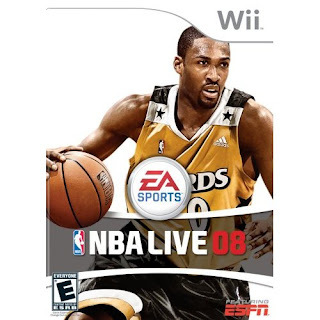 OK OK OK. Everybody's talking about it and we tried to refrain but the pressure was too much, so we gotta ask: Gilbert Arenas...WTF was you thinking?!?!??! ...and after all of that, you felt the need to sacrifice it all in true Plaxico Burress fashion by taking a gun to your locker room. Were you not paying attention when they locked Burress up for the same thing? No? Ok well since you like celebrities, how about T.I.? No? OK, how about Lil' Wayne? No? Not a rap fan? OK, how about Todd Bridges? No? Not a fan of Diff'rent Strokes. OK fine. Translation: you make TOO MUCH GOTDAMN MONEY to be holding a gun in the first place, let alone in a locker room in the Verizon Center where you work at, you friggin genius!!! Who the hell takes guns to work? Do you see Calvin at McDonalds holding a Nine-Milli while he's back there washing lettuce? If you absolutely MUST have a gun around you at all times for protection, at $18 Million a year, dogg, PAY your mans-n-dem a little guap and have THEM hold the gun for you. Or...are you sitting down for this one...hire an official body guard!!! Mind Blowing conecpts here, I know! If it seems like I'm shouting at you, it's because I am. You have too many kids - like my little brother - looking up to you for you to be out here doing dumb stuff like this. Think about that next time before you act. ***UPDATE 1/6/10*** NBA Suspends Arenas Indefinitely WITHOUT PAY!!! Every Game missed will cost Arenas $147,208.00.